Democratic incumbent Rob Wagner appeared headed toward an easy victory Tuesday night in his bid for a full term in the Senate District 19 seat long held by Tualatin's Richard Devlin. Unofficial returns at 8 p.m. Tuesday showed Wagner with 65.3 percent of the vote; Republican challenger David Poulson, a member of Lake Oswego's Development Review Commission, trailed with 34.6 percent. Wagner, 45, was appointed earlier this year to serve out the remainder of Devlin's current term. He was sworn in on Jan. 31, just a few days before the start of the 2018 legislative session, and jumped straight back into the election race after the session ended. Wagner worked for 10 years as the director of political and legislative affairs for the American Federation of Teachers (Oregon) and was then hired by Portland Community College in 2012 to serve as its government relations director. He was promoted in 2014 to become the school's associate vice president for college advancement, where he remained until he decided to seek the Senate appointment in late 2017. 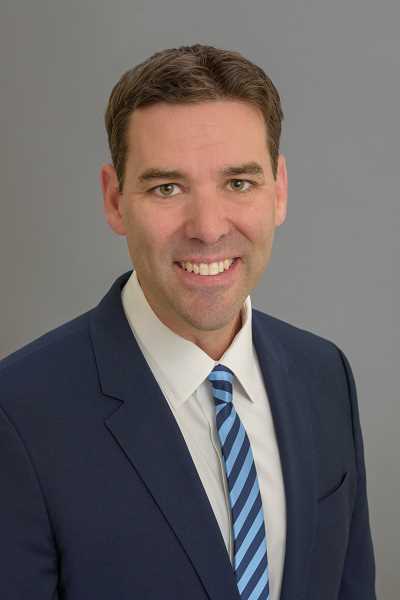 Wagner also serves on the Lake Oswego School Board, to which he was elected in May 2017. He says he came away from the legislative session with a stronger focus on taking action to address gun violence, and said he was particularly inspired by students from Lake Oswego schools who visited Salem to advocate for gun reform. Looking toward the 2019 session and beyond, Wagner says he wants to focus on advancing two of the core issues from his campaign: health care and education. Upcoming work on the state's budget will be an opportunity to make the case for additional resources for education, he said. "Targeted investments in certain educational programs make a huge difference," he said.